gorgeous, the breakfast was awesome, and Donna is a wonderful and welcoming host." More than just a Bed & Breakfast! Quaker Tavern B&B is an oasis of peace and tranquility located in Falmouth, Maine. 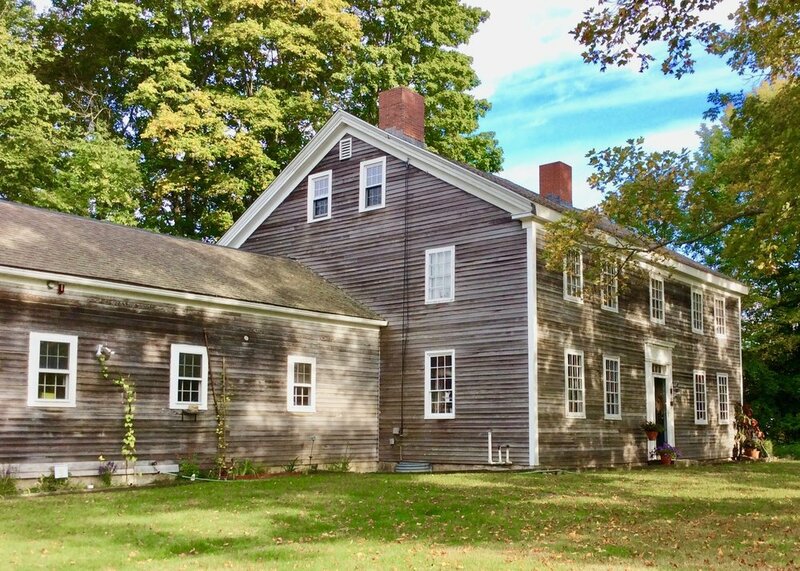 Along with a quaint stay in a circa 1780 farm house and delicious breakfast with all dietary requests honored and respected - your stay will become a great memory! Maine is called 'vacationland' for a reason! From shopping in Portland's Old Port, enjoying Maine's countless State Parks, walking the coastline, hiking, kayaking, exploring light houses, or simply relaxing... you have a place to stay. "Quaintness galore! Stopped here because of reviews and wasn't disappointed. A step back in time greets you at the door." "If you love being 'green, organic and environmentally friendly' you'll love this place." "Great B&B! This big homestead is located just outside of Portland, ME, and is a short 15 minute drive to the airport." Your B&B in Maine awaits.